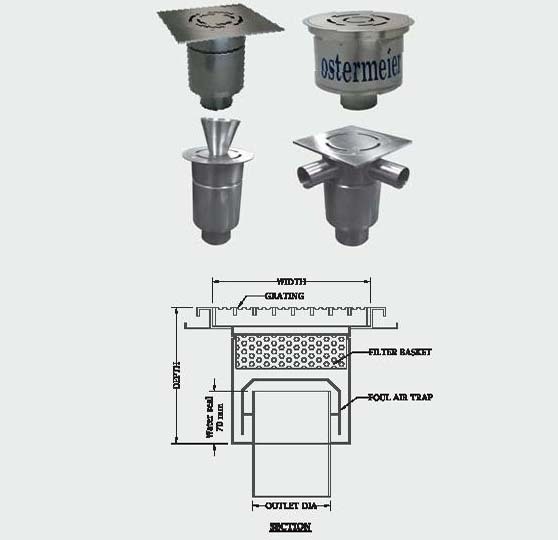 Ostermeier is the market leader in this product range. Meeting international standards and competitive local pricing, all our products are easy to install, hygienic, practical, and durable. Available in Stainless Steel AISI 304/316 Grades; in light, medium and heavy-duty. 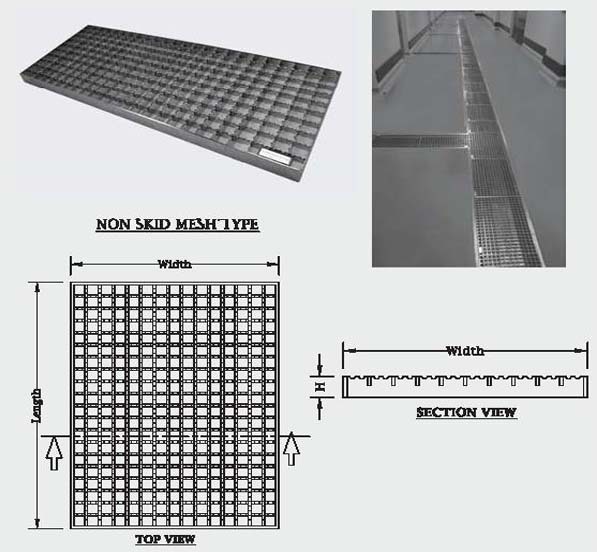 Stainless Steel Mesh Plain Gratings are used with drain channels, floor gullies or angle frames in areas like kitchens, swimming pools, beverages & food processing industries, laundries, etc. 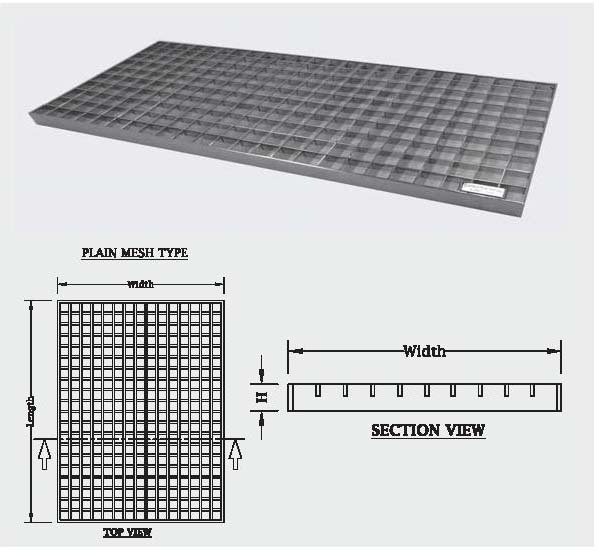 Stainless Steel Non Slip Mesh Gratings are produced in plain mesh design. 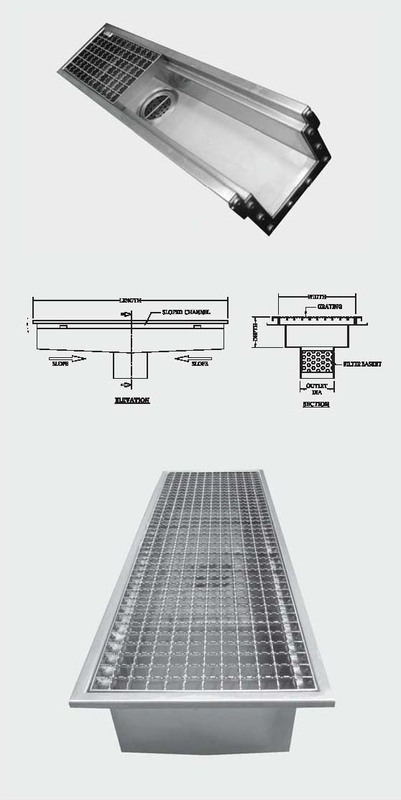 Gratings are used with drain channels, floor gullies or angle frames in areas like kitchens, swimming pools, etc. 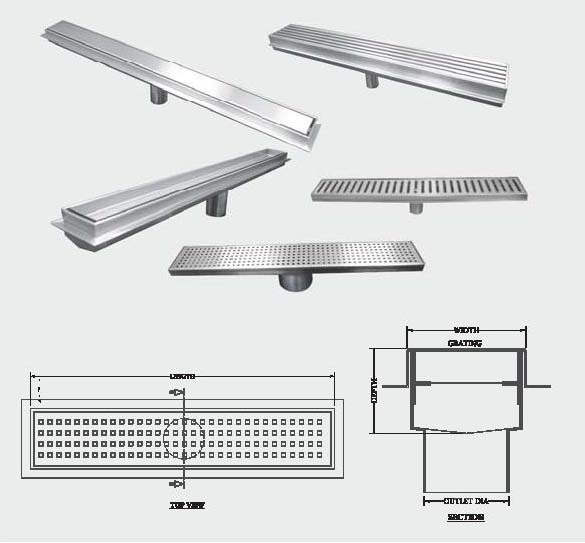 Ladder Type Gratings are used with drain channels, floor gullies or angle frames in areas like kitchens, swimming pools, beverages & food processing industries, laundries, etc. 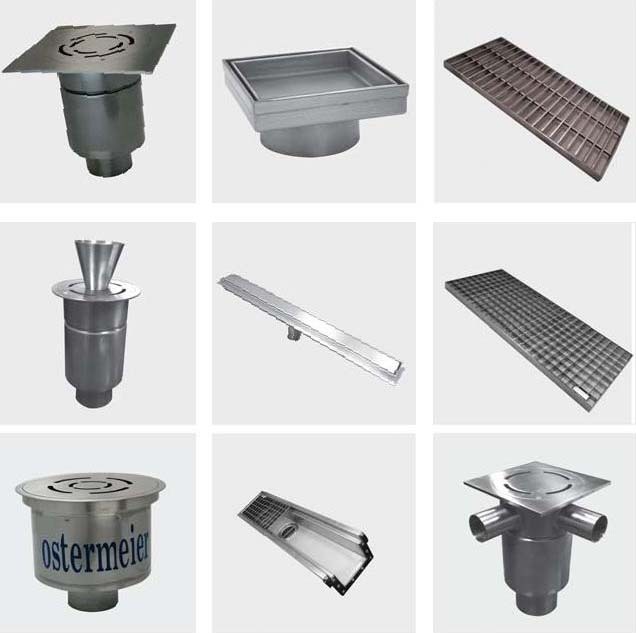 Stainless Steel Floor Gullies are suitable for use in food production, juice production and fish/meat processing industries. Floor gullies are available in different sizes to suit various applications. Shower Drains are ideal for applications with low capacity requirements such as shower areas and private swimming pools where space is restricted. Shower drains are available in constant depth and with sloping design (optional). 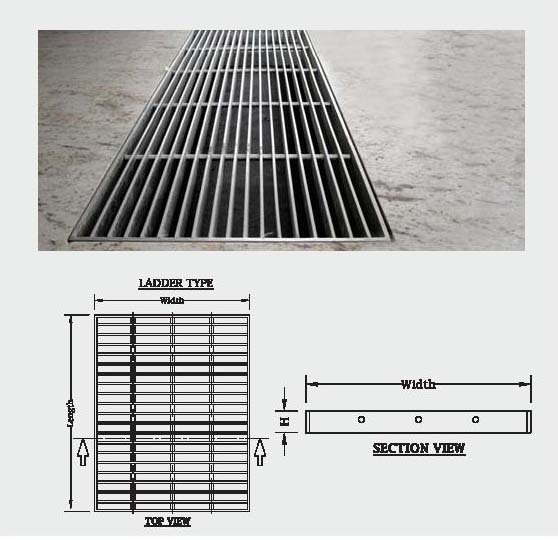 Slot Drains are suitable where floor depth is critical and areas where gratings are not required. Food & beverage production, chemical plants & swimming pools are areas of typical application. Water flows into the channel through the slot and flows towards the central outlet. Our standard range of Pre-Sloped Drainage Channels can be used for industrial kitchens, laundries and high capacity flows. 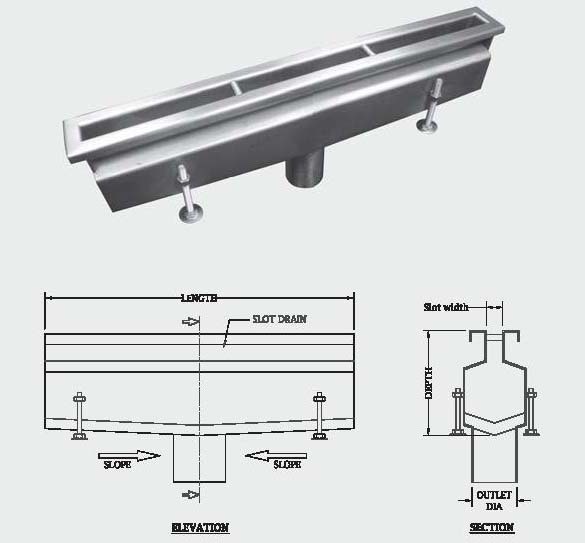 Drainage channels are available with standard vertical outlet or with gully traps. Custom made channels are also available.